Please print out your receipt or have it ready on your mobile device. Display your receipt on the vehicle at all times. 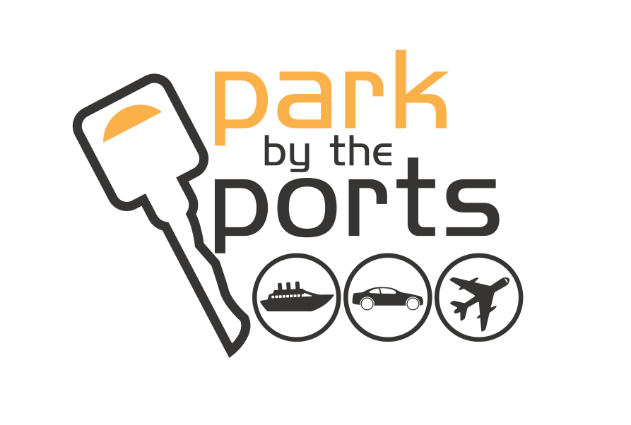 Park by the Ports is committed to giving each and every one of our guests the best and most affordable Fort Lauderdale cruise parking service. When you embark on your cruise out of Ft. Lauderdale, leave your car in our capable hands. Eliminate the hassle of finding parking at Fort Lauderdale airport and let Park by the Ports do all the work while you relax and enjoy a ride to your terminal. Our shuttles are complimentary (up to four people, $8 per person after). Port Everglades Cruise Parking Hours of operation: 7:00 AM - 3:00 PM; Check-in begins at 9:30 AM. Final check in at 2:30 PM. The lot is located in the Dania Beach Casino on the North West corner of the parking lot. Check-in here and remove your luggage to be placed on the shuttle. Port Everglades Cruise Parking Hours of operation: 7:00 AM - 3:00 PM. Check-in begins at 9:30 AM. Final check in at 2:30 PM. Drivers & valet personnel work for gratuity/tips. Thank you! Shuttles make rounds approximately every 20 minutes from 7:00 AM - 9:00 AM and approximately every 40 minutes from 9:00 AM - 12:30 PM. Disembark early in order to avoid delays and traffic. Wear the stickers you receive upon arrival & look for vans that read "Park By The Ports." Take Exit 23 west onto Griffin Rd. Turn right, heading north, onto SW 30th Ave. Turn right, heading east, onto SW 42nd St. Turn left, heading north, onto Ravenswood Rd. Make immediate right into lot. We are on the NE corner of Ravenswood Rd. & SW 42nd St.
Make a right, heading north, onto Angler's Ave./Ravenswood Rd. Destination will be on right in 0.5 miles. Continue west on Griffin Rd. Turn right, heading south, onto SW 30th Ave. Turn left, heading east, onto SW 42nd St. Turn left, heading north, onto Ravenswood Rds. Make immediate right, heading east, into lot. Take Griffin Rd. east to Angler's Ave./Ravenswood Rd. Make a Left, heading north, onto Angler's Ave./Ravenswood Rd. Our experience was fine, all that I expected. The parking lot was a good paved lot with good lighting and fenced. The ride to and from Port Everglades was quick and the drivers were courteous. The price was very reasonable. I would use Instapark again when leaving on a cruise from Ft. Lauderdale. Large parking lot, shaded area for waiting to be picked up by the shuttle bus, return shuttle bus was not a long wait. Polite staff. I like that you can self-park and keep your keys, it was very affordable. 2 things that would improve the situation? There were no rest rooms while waiting, and we had just finished a long drive to get there, even a port-a porty would have been appreciated. Also, when the driver picked us up, he did not leave the AC running while loading all the passenger's luggage and we were all sweating, steaming hot and I live in Florida so am used to the heat! Parking lot was great. Didn’t have to get blocked in like at other lots I’ve used before. Used Uber to get back to the parking to avoid waiting for the tram (personal preference) but will for sure be back! Great company to work with. Great service. Staff was great. Parking was easy. Wait times for shuttles were relatively short. Great experience!! Great service and didn’t have to wait long. Would highly recommend. Perfect place to park when sailing from Fort Lauderdale. As the owner of a Travel Agency, I will be recommending my clients. Everything was excellent. I'd give more stars if possible. The employees were good, but your website said it was fenced, it is not fenced in any way. We waited a long time to be picked up, there were three Park and Go van's come and go before yours arrived. Arrived, unloaded our bags, parked the car, then headed to the van. The driver loaded the bags and we were on our way to the port in about 15 minutes. Arrived at port in about 15 minutes, the driver showed us where we would be getting off the ship and where to go to get the shuttle and dropped us of at the baggage porter. Very smooth. When we left the ship the van was where we were told, He loaded our bags we waited 10 minutes for others and were on our way back to car, also gave good advice to avoid traffic on our way back to Detroit. We will use again for next years cruise. All very smooth. Very easy in and out! Late picking me up due to unforeseen accident, not your fault! I do appreciate the drivers advice on directions to avoid traffic jam. Everything was perfect. So easy even for elderly (and sometimes forgetful) people like us. Thanks so much. The experience was great. It might have been more helpful if we had a map to show us where to go upon leaving the cruise terminal. Fortunately we had a porter who knew where to go. Just a small piece of paper with a diagram would help. Service was excellent! Assisted with transfer of luggage and provided a quick safe ride to the port. We forgot our pillows when we unloaded and they held them for us until we return. Would recommend them to everyone going on a cruise from Ft Lauderdale! Very helpful drivers. Good service. We were very impressed with how easy it was to checkin/checkout, the friendly, helpful workers and the timely, comfortable shuttle rides. Extremely helpful driver at the port pick-up. Helpful and prompt service for arrival, drop off for cruise, and pick up upon return. The staff were very attentive and helpful. Stickers for returning customers worked great for us and the driver! Everything was excellent.best parking experience we have had I would recommend it to all my friends. The personnel here are the best; our first time parking here but it will not be the last. Our luggage was efficiently unloaded upon arrival and by the time I had parked the car the van was there and we were delivered to the ship very quickly. The van happened to be in the lot when we left the ship and we were on the road in no time. We never had to touch our bags, fantastic! Very professional service. All personnel were great. Would definitely recommend this company. good service, open 24/7, reasonable daily charge. This was so easy and convenient! We will definitely use instapark again when in the area. So glad we found out about you! Friendly staff....shuttle service was prompt.....would recommend to others and would use the park again! We could not have been happier. The parking was convenient, a short bus ride to the port. The staff was courteous, kind, and very helpful! We will definitely park there again when taking a cruise. Any prospective customer would not disappointed. Nice lot, excellent customer service! Shuttle was quick and easy! Will definitely use the service again! Driver wasn’t real nice. Was told I was going to be left. Prompt sevice, convienient baggage handling. Good location with good drivers. The parking lot could higher are we up to our ankles after a down pour. There were drainage problem in the lot and it happetto rain before we got there . We had to walk through 8" deep water and our luggage got wet when guys moved it from our car to the van . The park was clean, well-organized and affordable. Loved it and will be returning. The shuttle service and drivers were so efficient. Victor was terrific. Very helpful,polite and personable. Everything went better than I had expected. I have used these types of parking lots before with mixed results. I was pleasantly surprised by their efficiency. Great service. We did not have to wait long to get to the ship and get back from the ship. We had a great experience with instapark. Will be using the again for future cruises! Drop off and parking was convenient but pick up can definitely be improved on. Long wait for the shuttle back and not enough seats when it did come. Great experience; we were on our honeymoon and had a planned cruise but failed to plan parking. Park by the ports got us in and to the ship in less than 30 minutes. Also, getting back and on the road wad a breeze. Thank you!! No problem finding the parking at the casino. Everyone was very friendly and helpful. Prompt taking us to port. Waited a little longer than expected for pickup (we were early off ship). Again friendly driver. Will use your facilities again. The parking was fine. When we arrived at the Port coming back there were approximately 50 ppl waiting to get on a small bus that could carry 15 ppl. The other passengers had to wait another 45 mins until we were dropped off and the shuttle went back. We waited an hour for the first bus to come, other shuttle companies had made two trips to this company's one. Overall the car was fine, the area seemed safe, but transportation was a nightmare if you are trying to get to your car in a decent amount of time. Best cruise parking experience every, from the parking attendants to the bus driver. Recommend to everyone and will definitely use again. Best we have used in Fort Lauderdale. My wife and I just got back from our cruise out of Port Everglades. We had a wonderful time. Fort Lauderdale Cruise Parking definitely contributed to the exceptional time had. Complimentary shuttle service was my favorite part! We would like to thank Port Everglades Cruise Parking. Thank you so much for the great parking experience. I find that the Instapark parking lots are always the best value. They also always have great staff members. Very friendly and kind. I will always choose Instapark for my parking needs. :-) If you are going on a cruise out of Port Everglades, be sure to book your parking experience withFort Lauderdale Cruise Parking. There seemed to be a lot of unnecessary luggage shifting and roundabout driving. Also the instructions for pickup after the cruise were emailed to me but I did not have access to my email until I arrived home. So we were very lucky that our porter knew where to go to get the shuttle back to the parking lot. My family went on a cruise out of Port Everglades and have heard that the best and simplest port parking lot is Fort Lauderdale Cruise Parking in the Casino parking lot. It was nice and quiet. It was not as hectic as other parking lots in the area. Port Everglades has thousands of people going in and out everyday. You have to be very lucky to get a parking spot at Fort Lauderdale Cruise Parking. This parking lot is in the Casino parking lot and only has a few spaces. It is in high demand since it is very inexpensive and doesn't take much time at all to get to the Port. Make sure to book your cruise and parking space early to be sure that you don't have to park elsewhere. This is definitely the best Port parking lot around. Great experience. Would use again and would recommend to others. fort lauderdale cruise parking is the best! Such a great place to leave your car when going on a cruise. It's inexpensive, and there are always security guards around looking after it. I noticed that there are also security cameras! I will be returning for sure. Thank you for great cruise parking. Finding affordable parking for Port Everglades can sometimes be difficult. If you are lucky enough to get a spot in the Fort Lauderdale Cruise Parking Lot, you've hit the lottery! It is very inexpensive and it is also quite close to the Port. I had a great parking experience with Fort Lauderdale Cruise Parking Lot today! Thank you for the quick shuttle bus service. I would recommend this parking lot to anyone. This is a small parking lot so it isn't as jam packed as the others in the area. It's actually quite nice not to hear honking every five seconds! I will definitely be returning to Fort Lauderdale Cruise Parking. My go to spot! Easy to find and check in. Staff was very helpful. The most stressful park of going on a cruise is actually finding a good parking lot and getting over to the ship. With Fort Lauderdale Cruise Parking, you are not only close to the port but you also have access to a free shuttle bus! It is the perfect place to park. My husband and I parked at Fort Lauderdale Cruise Parking (the cruise parking lot located in the Dania Beach Casino parking lot). There aren't too many spots so we made sure to book as soon as we booked our cruise. The service was great and so were the staff members. We will definitely be coming back. Fort Lauderdale Cruise Parking is a great parking lot if you can get a spot. It's located at the casino which means that there is always eyes on your car to make sure that it is safe. The parking rate is also quite cheap! only 6.99 per day. Great value! Will be returning. Whenever I go on a cruise out of Port Everglades, I make sure to use Fort Lauderdale Cruise Parking! The best parking service you've ever had - I swear! Book with these guys, you won't regret it. If you're a first time user, it may be slightly confusing getting around the casino parking lot to the actual port parking lot and shuttle service. Make sure to head over to the north west end cover to the casino parking lot. It is right in the corner. If you are able to find it, you shouldnt have many complaints. Thank u so much 4 everything! I had a great time not only on my cruise but also getting to the parking lot. The shuttle bus driver is so funny! Thank you for making me laugh so early in the morning. It was truly needed. SERIOUSLY best port parking lot near Port EvergladesÃ‰ so many cool staff membersÃ‰ I felt really welcomed and glad parking here. Wont be going anywhere else from now onÃ‰ :) 5/5 for sure!! I can sometimes become nervous leaving my car in a public parking lot for a week at a timeÃ‰ but here, you really donÃ•t have antyhing to fear. The staff are very lovely and caring, and the security guards seem to have a real hold on things. It is the best way to park for Port Everglades. Don't go anywhere elseÃ‰. Fort lauderdale cruise parking is quiet and very inexpensive!! There isnt a port everglades parking lot that is under $10 a day except for this one. This one is like 6.99 a day or smething like that. So cheap! And I am very trusting when it comes to them as well. thank you for existing!! nothing but the best service hereÃ‰ thank you so mcuh for everything you guys doÃ‰ it's funny because I never thought I would be giving a good review to a parking lotÃ‰ just because parking lots make me anxious and borderline angry. They are always so busy and conjested. Fort Lauderdale Cruise Parking is definitely a breath of fresh air. Whenever i go to port everglades and need long term parking, im going to make sure to return to you guys. I love the staff at Fort Lauderdale Cruise Parking. They are all very kind and helpful. No amount of luggage is too much for them to handle. I tend to bring a lot on my cruises, and they are very good with me. Thank you so much Port Everglades cruise parking! Everything was good. Normal Port parking lot other than the fact that it's quite small. I would suggest booking ahead of time like I did. I did without knowing it was a small place. It all worked out in the end I guess. Thank you for everything. AH! I can't believe how quiet this parking lot isÃ‰ so many people leave on cruises everyday, and this parking lot only holds a handfull of people. I'm happy that it wasnÃ•t jam packed when I arrivedÃ‰ so mcuh better that way. I'm happy to have gotten a parking space here. I was very comfortable leaving my car. I LOVE THIS PARKING LOT AND THE SHUTTLE BUS DRIVER. HE PUT A SMILE ON MY FACE BEFORE I EVEN BOARDED THE BUS. :-) I will be returning! WOW ive never been to a parking lot like this. it is soooo inexpensive to park and it is also very safe. I am always a little worrieed leaving my car at a public parking lot for longer periods of time, but i am never worried leaving my car here. it is seriously a great lot. i would recommend it to anyone. whenever i cruise from port everglades, i always make sure to book a parking space with fort lauderdale cruise parking. thank you all for the amazing port parking experience and shuttle ride. it is so quick that you hardly realize that the lot isnt closer to the port. thank you all for another great park. if you think you know a great place to park, you havent parked at fort lauderdale cruise parking. the staff are incredible, the shuttle bus only takes a few minutes to get ot the port, and the lot itself is small and very easy to get around... it is very small which means that is is quiet and secluded from all of the nonsense that goes on at other port parking lots. My friends and I decided to park with your company. It was a great decision since all of us were looking for a new port parking lot and had never heard of you. Definitely a lot better than other parking companies i've seen! Great service and great value! I have had nothing but great experiences parking with Fort Lauderdale Cruise Parking! Thank you so much to all of the staff, security and shuttle bus driver for making my time parking with you great. I never thought I would like a parking lot as much as I like this one. THANK YOU FOR EVERYTHING. Great staff! All of my friends have been raving to me about how great your port everglades parking lot is... they all go on cruises but I never had until a few weeks ago with my husband. Thank you to my friends for showing me to you... very quiet and personal lot. You get to know people here, and it's nice to think when I come back, the same people will be here and they will know my name. (I noticed a lot of people being called by their names) I love thst community feeling.. the staff here cares. port everglades is my favorite place to go on cruises from, but something was missing from having the perfect experience, and now i know what it was... a good long term port parking lot! You guys are my new regular port parking lot for whenever i go away on a cruise. Very good service, both pickup and delivery. Would definitely use the service again. Normal parking lot. a lot cheaper than others, but everything just seemed okay. Norhting too out of the ordinary. traveling is always quite stressful... but if you awnt to lower your blood pressure this vacation, make sure to book with fort lauderdale cruise parking... so much better than the other lots around. its quiet. thank you for being quiet. Such a great long term port parking lot. This is a small lot which means that there arent may staff members, but I would trust them with my car a lot more than those at a bigger lot. Here, there are less cars to look after. Also, since this parking lot is located in the back corner of the casino parking lot, it really makes for a good time before or after coming back from the cruise. i went to this parking lot in hopes i would find a parking lot since i was going on a last minute cruise that day. unfortunately when i came across this parking lot and went in, there were no spots available. wow. all that time for nothin. i ended up finding another lot down the street, but i wanted to park at yours. maybe next time. im kinda disapointed. A port parking lot in a casino parking lot. so much fun!! thnak u to all of the staff who did their best to make sure that everyone was happy with their service. great job. we will most definitely be returning. are you taking a cruise from port everglades? if you arent looking to take a cab from home, drive to this parking lot and pay a small amount of money for great services and staff members who actually care. My son wanted to write a review because he enjoyed the shuttle bus ride so much: "I had never been on a bus like that before and it was so much fun. The seats were comfier than the ones in my moms car, and i didnt even have to carry my bag. a nice helpful man helped us, thank you for my first shuttle bus ride." We love coming to Fort Lauderdale, and love going to Port Everglades even more. Whenever we are here we like to park and head over to the port... We use your parking lot to get over and walk around. Even if we arent going on an actual cruise, we love watcghing the boats. I will never go to another port everglades parking lot again if i can help it!!! ;-) I loved the staff here and would love to come back and see everyone again. I also love how inexpensive daily costs are and how quick it is to arrive at the port. What a great way to begin and end a marvoulous cruise! The shuttle bus takes you to and from the port to get you to and from your car safetly and quickly. I have never been so impressed. thank you so much everyone at Fort Lauderdale Cruise Parking. Great work! exquisit service! Thank you all! Port Everglades is my favorite place to cruise from. Such a beautiful Port. I always come to your parking lot to get there. So inexpensive for such incredible service. You can really tell that your staff cares. Thank you for all of your hardwork throughout the years. Great spot to come and park. All of the staff are great and the prices are almost unbelieveable. Totally worth every penny (and more)! Whenever I come to fort lauderdale cruise parking I am always very impressed with the service. I have met a few of my cruise friends at this parking lot, and now we carpool and split the cost, though it is not expensive, it makes for a very fun time with friends. Thank you so much for the great parking experience at Fort Lauderdale Cruise Parking. My husband and I received valet service and my god it was worth it. Staff members were all very lovely. We will be returning on our next cruise. Whenever I go on a cruise, I make sure to book a parking space with you guys! It is always a great experience coming in and talking to you all. Great staff, including security and the shuttle bus driver. I will continue spreading the word about fort Lauderdale cruise parking! I don't go anywhere but to Fort Lauderdale Cruise Parking if I can help it! I always make sure to book early to make sure that I have a parking spot waiting for me on the day of my departure. I love how quiet and low key this parking lot is. This is my fourth time parking at your lot. You all give continuously great service and are always happy to make others happy. You guys always put a smile on my face. The sshuttle bus driver is always a hoot. No pickup at the ship. What went wrong? Everything went smoothly when I actually got to the parking lotÃ‰ but beforehand I had a heck of a time figuring out were I was actually going. I got lost on my way to the actual casino, and then when I finally arrived at the casino I had a hard time locating the fort lauderdale cruise parking lot enterance. When i did everything went well and i am grateful i chose this lot for port parkimg. I was a bit confused of where to go when I got to the casino lot, but I ended up finidng the lot within a few minutes of driving around. Service was good, and so was the shuttle service. It didnÃ•t take long at all to get to the ship! Wiring times when departing and arriving could improve. Just because our shuttle bus took us to the Port so quickly, my wife and I actually had the time to find a little nearby cafÅ½ called Winfields to have a bite before getting on the ship. Usually there is food right when you get on the ship, but we were starving before the port gates even opened to let us on the ship! We've used a lot of different lots in the past but now the only one we use is fort lauderdale cruise parking. This is the best parking lot to use if you are taking a cruise from Port Everglades. It only took a few minutes to get from the parking lot to the port. This is a great parking lot to have booked with if you are late or in a rush. They get you where you need to be in very good time. I went on a cruise with my friends about a month ago. We chose to use Fort Lauderale Cruise Parking, and we were all very impressed with the service. There are many great staff members who helped us with a few things that we were confused about. This parking lot is always great. I've never ran into any issues with you guys. I will definitely continue recommending your parking lot to all of my friends and family. Since this parking lot is located in the corner of the casino parking lot, it is quite a small lot that is designated for the port parking lot. I would consider booking your parking spot early in order to actually get a spot. There have been times when I've wanted a parking space but havent been anle to get one since I inquired only days before. If you book atleast a week or so in advance, you should be okay. Fort Lauderdale Cruise Parking is a great parking lot. The staff are very consistant with their service. I have to go on a cruise tomorrow and don't have a spot. Fort Lauderdale Cruise Parking said that they were full for tomorrow. What kind of parking lot gets full?... awful. Now how am i going to get to the port? any suggestions? I parked with you for the first time the other day, and it surpassed my expectations. I got valet service, but i'm sure that even if you do not get value it wouldnt take too long. There arent many parkug spaces here which makes it easy to find one. And the lot is so small that it only takes a few minutes to walk from one end to the other. Even if you are at the furthest parking spce, you will still be able to get to the shuttle bus stop in good time. Thank you so mcuh for the good service, and keeping my car safe. I was referred to this parking lot from a friend, and I am very happy that she told me about it. It was everything that she said it was. Quiet, and very quick to get you to and from the port. It was hard for me to find, but that was the only issue I had with it. I really loved parking with Fort Lauderdale Cruise Parking lot. I felt very comfortable leaving my vehicle here for a week and knew that it would be safe since there are always many security guards around. I always choose your parking lot. I trust that you are going to keep my car safe and that it's going to be the same as it was when I left it. I have had very bad experiences with public parking lots, but I've never ran into a problem here once, and I've parked with you quite a few times. I would recommend this parking lot to anyone. When going on a cruise at Port Everglades, I always make sure to choose fort Lauderdale cruise parking. It is quiet and very close to the port. It definitely takes the stress off of parking in a busy, frantic parking lot. Thank you to everyone at Fort Lauderdale Cruise Parking for giving my family and I a safe and stress-free place to park our car. ur parking lot is seriously the best. i was beginning to get used to having terrible experiences in public parking lots, but when im parking with u its a lot more relaxed. there are lots of great staff members who help the experience be nice. When I first parked with Fort Lauderdale Cruise Parking, I was confused as to where to go in the Casino parking lot, but once I found it the first time, I wanted to come back every time I went on a cruise out of Port Everglades. Thank you so much for the great service. Going on any trip puts a lot of stress on me. I don't want to feel stressed about whether or not my car will be safe in the parking lot I choose... I always park with For Lauderdale Cruise Parking so I know that my car is always in good hands. Easy in and out experience. No complaints. If I go on another cruise I will be returning!! Thank you to everyone who made my experience so simple. At first, I thought it was kind of strange that the parking lot was in a casino parking lot, haha. It made more sense when I showed up my first time parking here. It was nice to see friendly faces before and after the cruise. especially after since I was so sad it was over. Thanks for everything! I will definitely be returning. Great parking lot!! 5 stars!!! I love how the staff at this lot put their hands together and work hard to make sure that everyone who comes through is happy with the service provided. Great job!! I will definitely be returning. Finding a good parking lot is probably the most difficult part of booking a cruise (for me at least) ... I came across Fort Lauderdale Cruise Parking last year and haven't trusted anyone else with my car since. Great service, great prices, and great valet! I love the bus driver as well. He's hilarious! Whenever parking at Fort Lauderdale Cruise Parking, I am always very satisfied with the service. I am always helped with my bags when I get on the shuttle bus and off. There are many great staff members who really care about their customers. Thank you guys fro everything. I love Fort Lauderdale Cruise Parking! The valet service is the best. I was in and out within minutes, and got to the port with lots of time to spare! ItÃ•s always very stressful when you are on your way to their a port or airport, and you arent sure whehter you are going to make it or not... Fort Lauderdale Cruise Parking gets you there on time. Thank you! Great service!! Thank you so much guys! I appreciate all of the hard work you put in to make sure that your guests have a great experience with your company. I will be coming back on my next cruise adventure! If you are taking a cruise from Port Everglades, make sure to check out Fort Lauderdale cruise parking to see if there are any parking spaces opening and available. This parking lot makes it easier to get to and from your lot without much hassle. There aren't many parking spots which means two things... You have to book early but if you are lucky enough to receive a parking space, you won't have many troubles fighting cars for a good spot. They are all very close and accessible to the shuttle stop. This is my parking lot choice when cruising from Port Everglades. If you are taking a cruise from Port Everglades, the best parking lot you can choose would be Fort Lauderdale Cruise Parking. They are quick and officient. They know how to do parking the right way. Thank you for the great experience. Whenever I go on a cruise I make sure to book my parking spot with Instapark and Fort Lauderdale Cruise Parking. This is a calm, quiet parking lot that is safe and who has a lot of nice staff. Thank you again for a great parking experience. wonderful experience.from start to finish. Very organized and shuttle service quick and drivers very courteous. Drop off of bags was a little confusing but quickly resolved by terminal baggage handlers. Return pick point identified by driver was incorrect and again caused confusion until able to call in and get instructions. Return driver to parking lot was relatively prompt, professional, helpful, and courteous. Good and fast service, Very easy going and knowledgable driver. $10 is so cheap to pay for the kind of peace of mind that I got, I almost can't even believe it. It was so affordable I knew right away I had to try it out. I brought my car here and knew it would be safe here. The staff was great and the lot was clean and fixed up. I knew when I got back to pick up my car I wouldn't have any issues. Honestly this was a great experience even though I thought the lighting inside the lot was a little too bright for me but I guess that helps the security guards see the cars better? So I guess that's good. Anyway my car was safe and sound when I got back so I would use it again. I will never park my car anywhere else from now on, this is the best thing I could have found. A friend told me about this lot so I decided to check it out and it's a good thing that I did. I was on time for my flight because I was so close! Leaving your car anywhere in a big city like Ft. Lauderdale is scary and finding a place for it can be very annoying. When I saw this parking service for $10 I thought it was a mistake honestly. Booked it online right away and will probably always use this going forward. Lot was too big though. I've literally spent hours looking for parking in Ft. Lauderdale, it's kind of ridiculous so I knew I found a gem when I saw this. Cheap price, shuttle bus to the airport and all of that. I just wish it wasn't so loud?? That was the only drawback, but perfect otherwise. Reserving my parking online is easy and it took me no time to do it. Always worried about setting things up over the computer but booking my parking spot was fast...and cheap! Best price probably anywhere in Florida and so close to the airport. I knew I had to park close to FLL if I wanted a good spot but wasn't sure where I should go. PTE Park was close by with security and of course those trust shuttle buses to get me there, I was sold and would come back for sure! I think anybody who needs parking close to Fort Lauderdale Airport would be silly not to use this parking service, it's just so convenient! Not to mention affordable so there's really no excuse in choosing other options over it. And with a free shuttle bus to the airport how could you go wrong? This is probably the most affordable parking I have found in the city. I didn't want to shell out $50 or more to leave my car somewhere, so finding this was the best thing that could have happened! :D I'm coming back the next time I need parking close to FLL. So good! Getting to Fort Lauderdale Airport was super easy from this parking lot and it made so much sense for me to park here. The lot wasn't as bright as I'm used to but it was still a great spot to leave my car while I went to the airport to catch my flight! I'm usually always late! Booking my reservation was easy and bringing my car was simple. A free shuttle bus too? Perfect! I said hi to the security guard so I knew there was somebody there at all times. Truly a great service and put my mind at ease knowing my car was there. Amazing! Parking in Florida is hard enough without having to worry about where you're actually leaving your car. Parking by the ports is the best parking experience I've had so far and I've told tons of people about it. Would park here again! The staff here was amazing and it made me so comfortable to know that they would take such good care of my car. I'm so protective of my car that I was worried to leave it anywhere except my home but PTE Park made me realize that it was possible to find a place I was okay with.